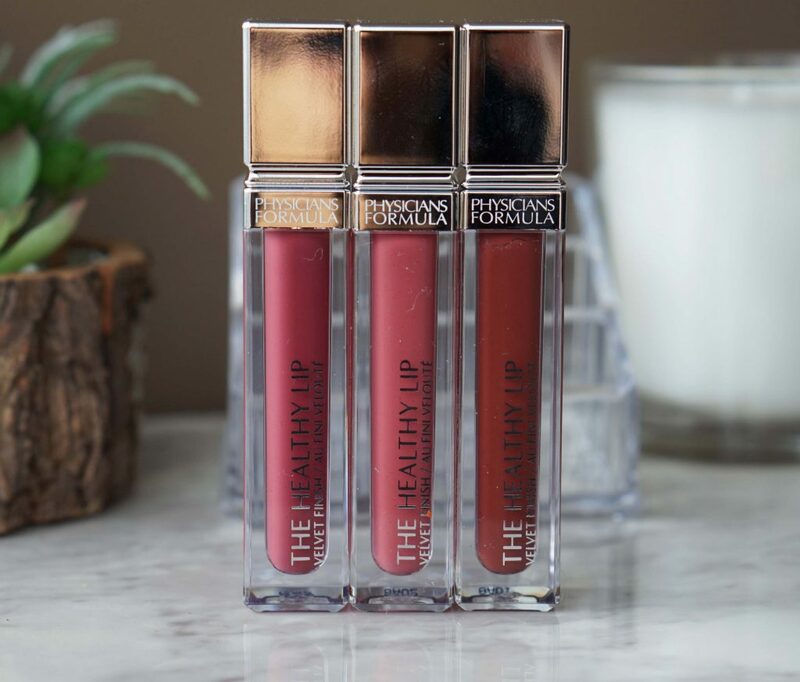 The Healthy Lip Velvet Liquid Lipstick is in a pretty standard rectangular packaging. The bottom is a clear acrylic so you can easily see the shade through the tube. There are a couple of nice details such as the Physicians Formula branding just below the cap and also the geometric designs around the twist off. 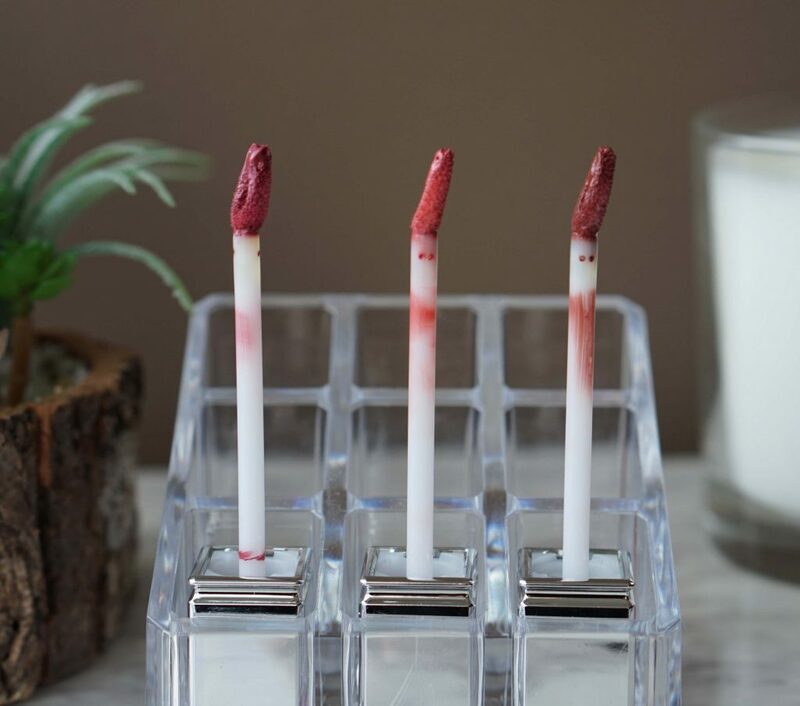 The doe-foot applicator is very well made to evenly distribute product and reach the corners of the lips. The tip is rounded but quite narrow so it gets in the cupid’s bow quite well. There’s usually enough product that gets picked up to cover the entire lip in one go. 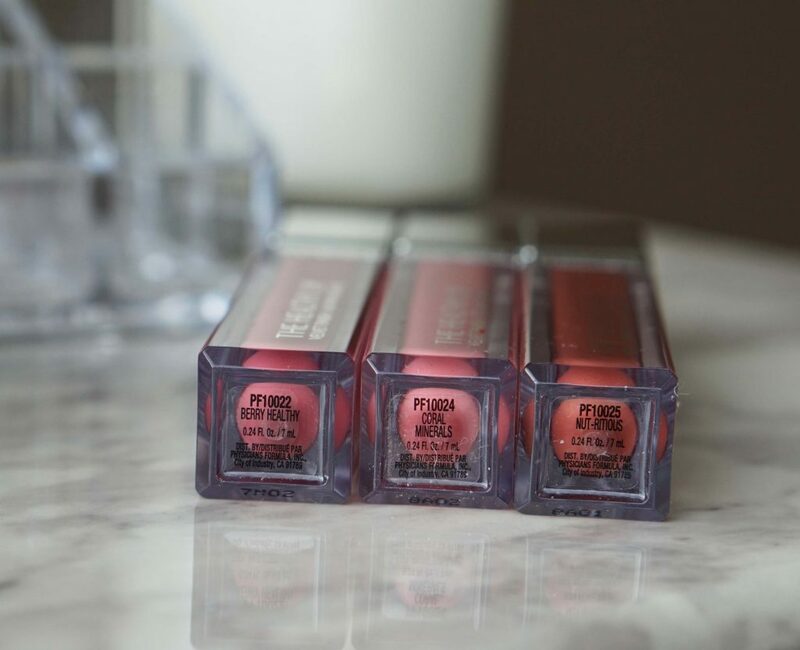 Physicians Formula is on the higher end of drugstore products and they consistently produce high quality products. 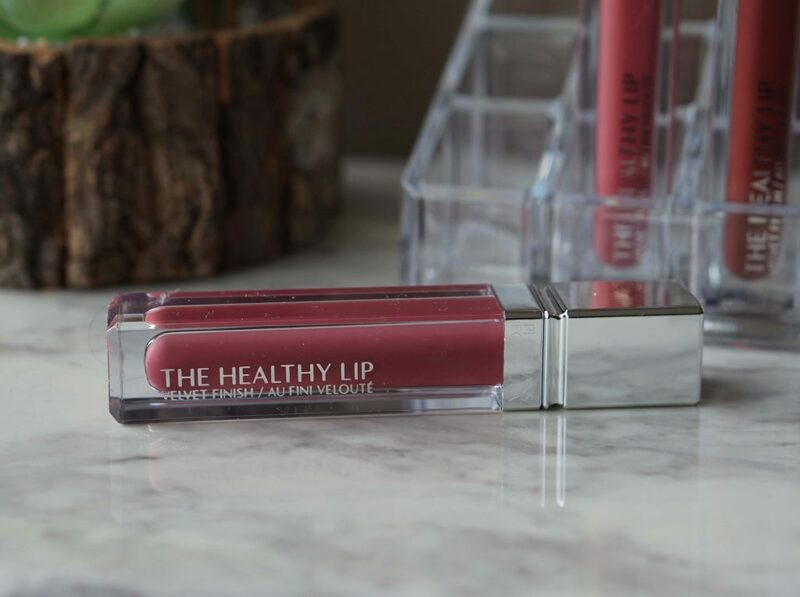 The Healthy Lips contains avocado oil, vitamin A & E, and hyaluronic acid to keep your lips hydrated. 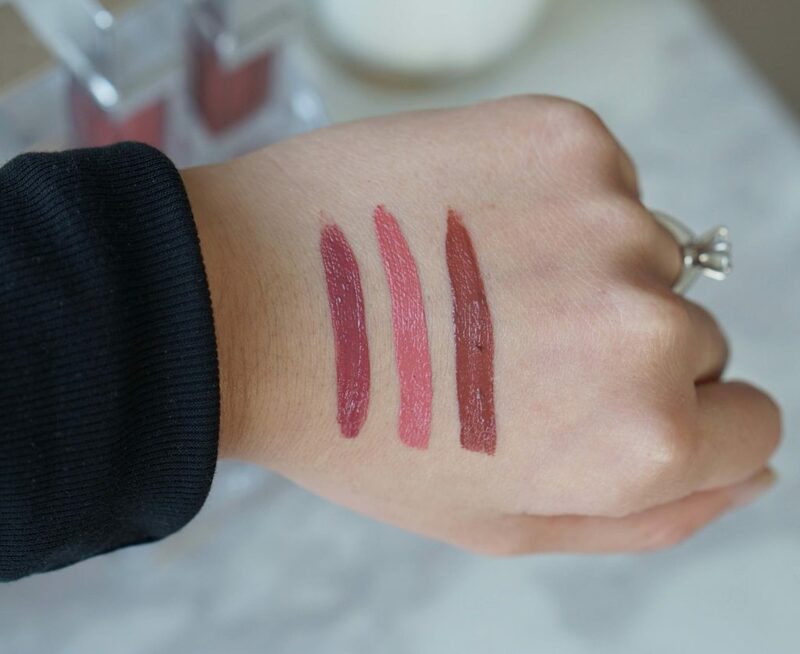 I have to say that I have never found a liquid lipstick that I loved. While this one was pretty good, I would still choose a traditional lipstick over it any day. The initial application is very nice. 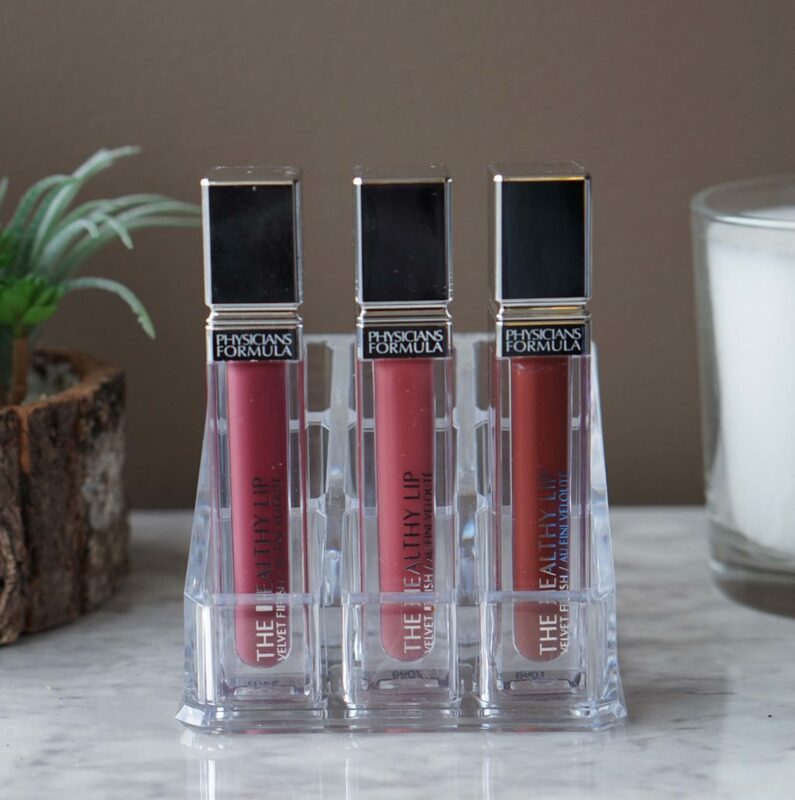 The product feels light, airy and velvet was truly the first word that came to mind. 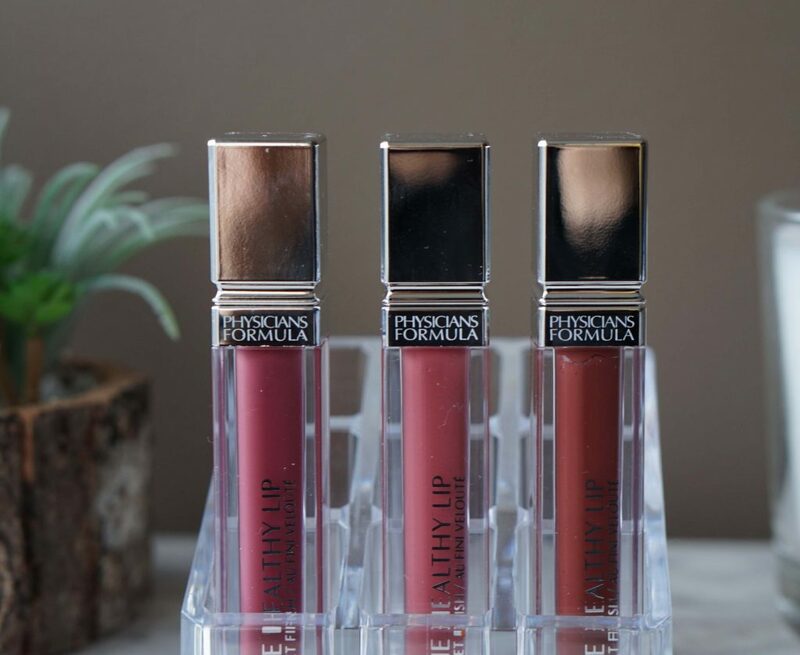 In one swipe, the colors applied beautifully across my lips. There’s no tightness or settling into my lip lines while it dries. But in the first 20 minutes or so, it does transfer extremely easily to mugs, coffee cups, napkins etc. I get a pretty fresh look for about 3 hours and the colors stains for up to 5. However, I do find that it eventually settles into my lip lines and creates a not so flattering look unless I touch up with another layer or use lip balm. My lips did not feel parched or dry like some liquid lipsticks makes me feel. But it’s definitely not a replacement for lip balm or even hydrating sheer lipsticks. 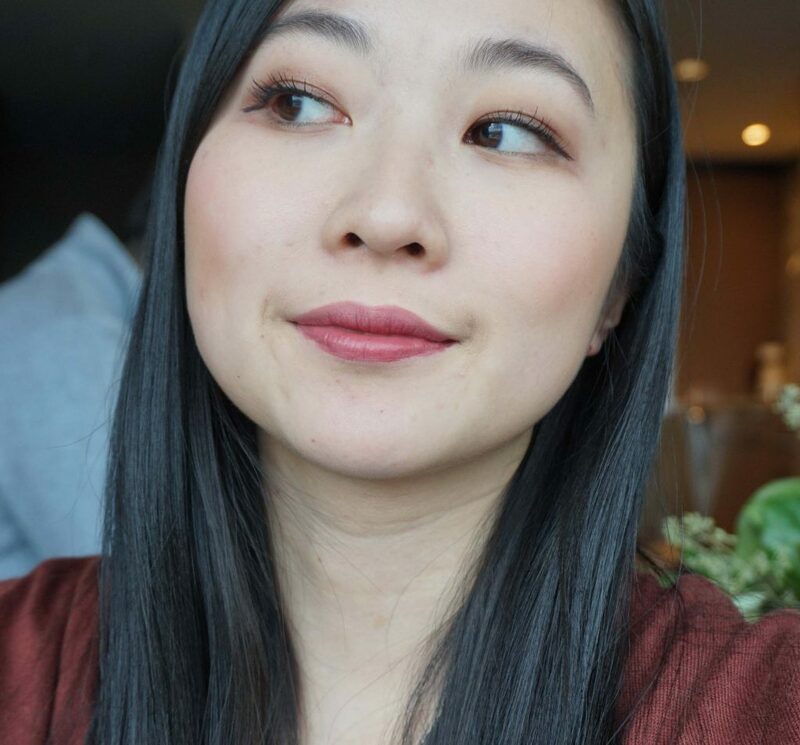 Berry Healthy: First I have the berry shade which is a beautiful MLBB shade. It is on the lighter spectrum of a berry color and a light coat brings a mostly pink color. Coral Minerals: I haven’t worn corals for a long time but it instantly makes me feel like spring! It makes my teeth look yellow though so I’ll need to whiten them up for shades like this. It’s bright but not loud and very wearable. 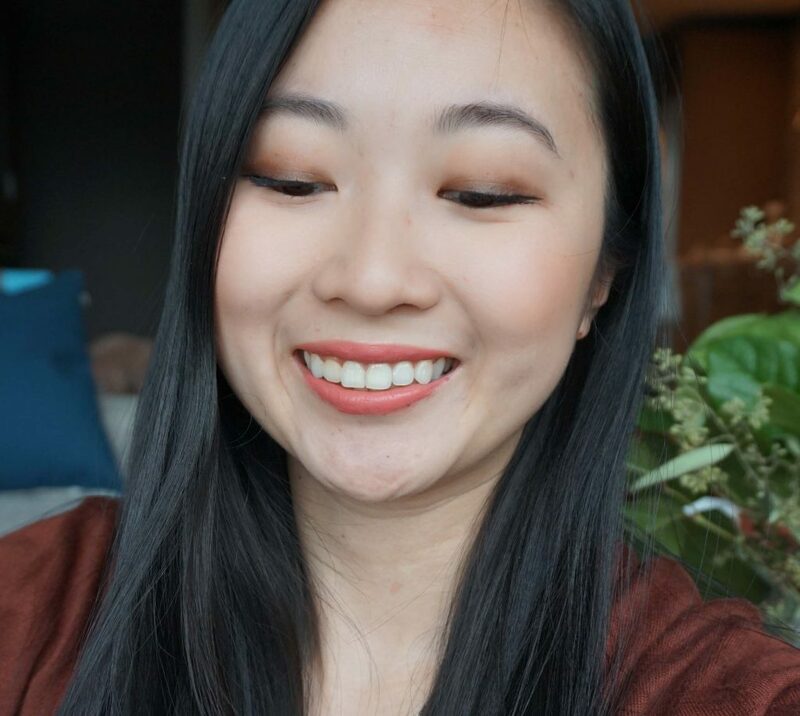 Nut-tritious: Brown shades are my favorite for fall and winter! It’s deep but warm and I find it pairs really well with neutral clothing. Overall, the shades are all very beautiful and easy to wear. 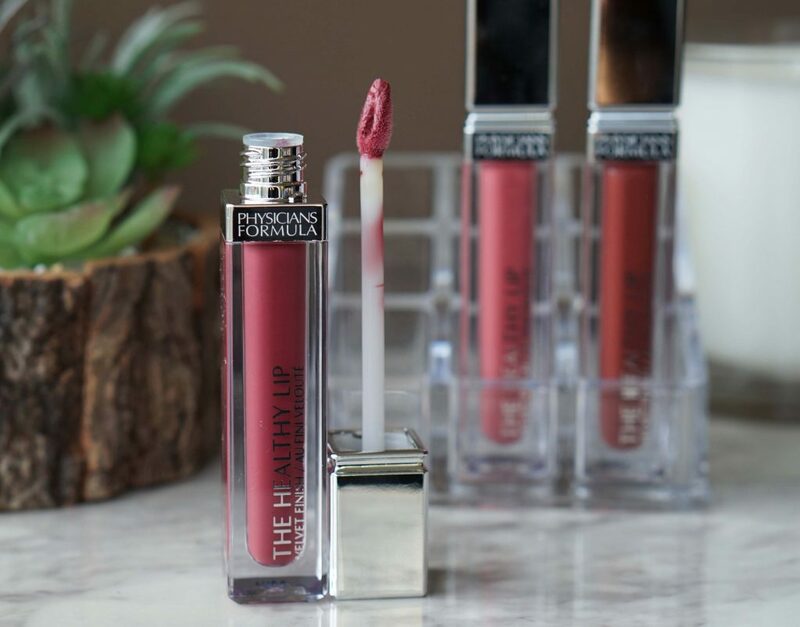 It has a lovely velvet finish right at the start but I still find that it settles into my lip lines and is more high maintenance than normal lipsticks. I think I’m just not a liquid lipstick girl! 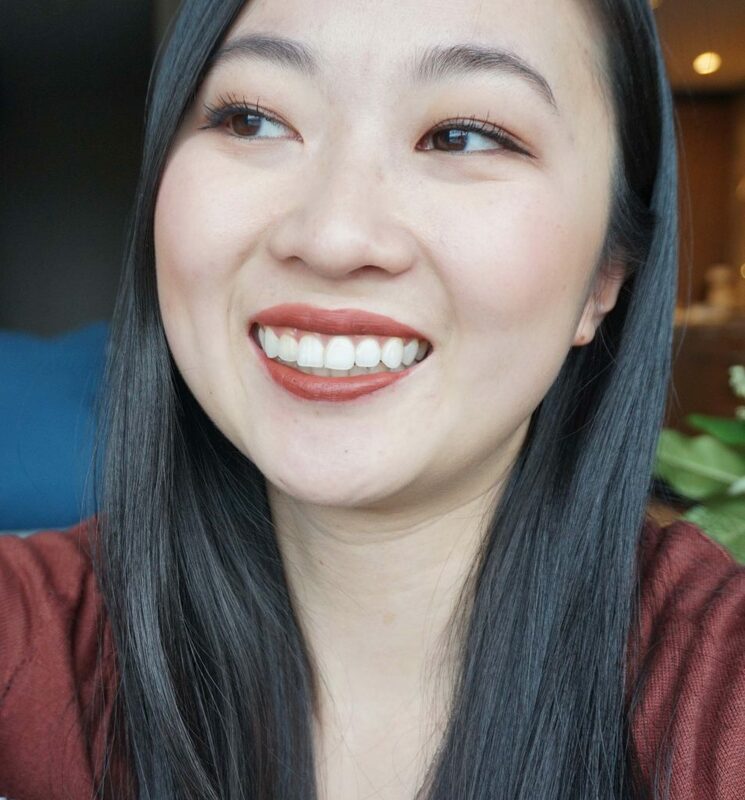 Are there any hype makeup items that just don’t work for you?